A report claims that Arturo Vidal is in line for a new contract at Barcelona, but he may wait to sign the deal as competition for places will increase next season. Predicted Brazil XI vs. Uruguay: Gabriel Jesus to start ahead of Roberto Firmino? Sports Mole looks at how Brazil could line up when they take on Uruguay at Arsenal's Emirates Stadium on Friday. Barcelona defender Yerry Mina reportedly misses training on Tuesday amid speculation over his future at the club. Barcelona manager Ernesto Valverde says that he is excited about the arrival of midfielder Arturo Vidal to the club. Barcelona reportedly join the likes of Manchester United, Chelsea and Inter Milan in the race for Bayern Munich midfielder Arturo Vidal. Valencia captain Dani Parejo says that he wants to stay with Los Che this summer despite reported interest from Barcelona. Barcelona boss Ernesto Valverde says that his club "are likely" to make more signings this summer. Barcelona could be forced to pay £44m to sign Ajax midfielder Frenkie de Jong, according to a report. Gremio midfielder Arthur completes his move to Barcelona on a six-year deal, which includes a buyout clause of £355m. Barcelona midfielder Paulinho rejoins Chinese Super League club Guangzhou Evergrande on a season-long loan deal. Barcelona midfielder Paulinho agrees to re-join Guangzhou Evergrande in a £44m deal, according to a report. Barcelona midfielder Paulinho reveals that he could return to China in this summer's transfer window. Barcelona considering Paulinho sale to fund move for Chelsea midfielder Willian? Barcelona will reportedly consider the sale of Paulinho if it boosts their chances of pushing through a move for Chelsea midfielder Willian. Brazil midfielder Paulinho reveals that he has "regained confidence" since moving to Barcelona last summer. Brazil confirm their progression into the knockout stages of the 2018 World Cup in Russia courtesy of a 2-0 victory over Serbia in Group E at the Spartak Stadium. Relive Sports Mole's coverage of the 2018 World Cup in Russia as Brazil take top spot in Group E courtesy of a 2-0 win over Serbia in Moscow. Stoppage-time goals from Philippe Coutinho and Neymar rescue Brazil a 2-0 win over Costa Rica in World Cup Group E - a result which eliminates the Central Americans. A report claims that Neymar missed Brazil's outdoor training session on Monday after appearing to take an injury knock in their 1-1 World Cup draw against Switzerland. Switzerland come from a goal behind to draw 1-1 with tournament favourites Brazil in their opening match at the 2018 World Cup. Paris Saint-Germain forward Neymar is named in Brazil's starting XI for the Selecao's World Cup Group E meeting against Switzerland in Rostov. Brazil midfielder Paulinho hails fellow countryman Philippe Coutinho as "amazing" and said that he is excited to play alongside his club teammate. Brazil ease to a 3-0 win over Austria in Vienna in their final pre-World Cup friendly, with Neymar netting on his first start in more than three months. Barcelona thrash Villarreal 5-1 at the Camp Nou to close in on an historic unbeaten La Liga campaign. Relive Barcelona's emphatic 5-1 victory over Villarreal at Camp Nou with Sports Mole's live text coverage. Sports Mole previews the Copa del Rey final action as Barcelona take on Sevilla at the Wanda Metropolitano in Madrid. Barcelona move 12 points clear at the top of La Liga courtesy of a 2-2 draw with Celta Vigo on Tuesday night. 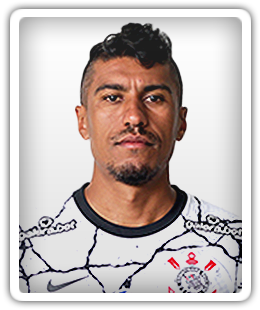 Manchester City reportedly join the hunt for Vasco da Gama's highly-rated teen Paulinho. Brazil net three goals in 13 second-half minutes to beat Russia 3-0 in an international friendly clash at the Luzhniki Stadium. Relive Sports Mole's live text coverage of Brazil's 3-0 win over Russia, as the Selecao produced an improved second-half display to come out on top. Barcelona ease to a 2-0 victory over Athletic Bilbao to move 11 points clear at the top of La Liga with only nine games of their season remaining. Paco Alcacer takes over from the suspended Luis Suarez for Barcelona's home league match against Athletic Bilbao. Olivier Giroud will lead the Chelsea line in Wednesday night's Champions League last-16 second leg against Barcelona. Barcelona confirm that they have agreed an option to buy highly-rated Brazilian midfielder Arthur from Gremio in the summer. Barcelona open up a 11-point lead at the top of La Liga courtesy of a 2-0 win over 10-man Malaga at La Rosaleda. Barcelona boss Ernesto Valverde leaves out Gerard Pique and Philippe Coutinho for the meeting with Las Palmas, three days before a huge showdown against Atletico Madrid. Barcelona come from behind to record a 6-1 win over Girona in Saturday night's historic Catalan derby at Camp Nou. Barcelona recall Ruben Semedo, Philippe Coutinho and Ousmane Dembele for their La Liga meeting with Girona.